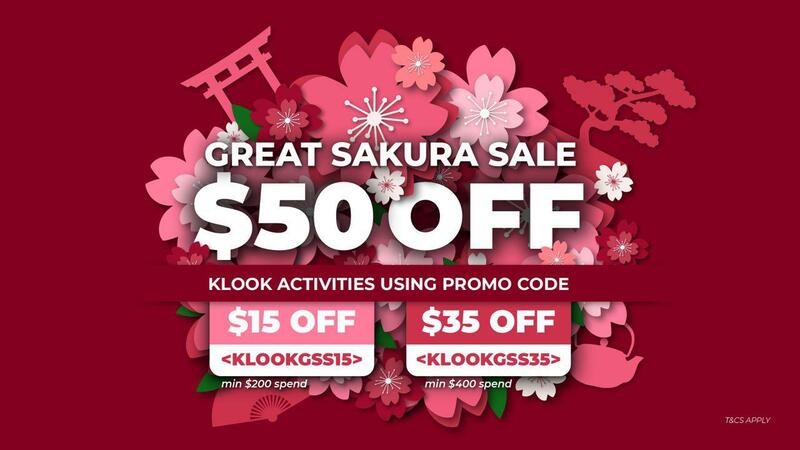 Get S$35 off when you book Korea essentials and activities with Klook! More details at the end of the post. 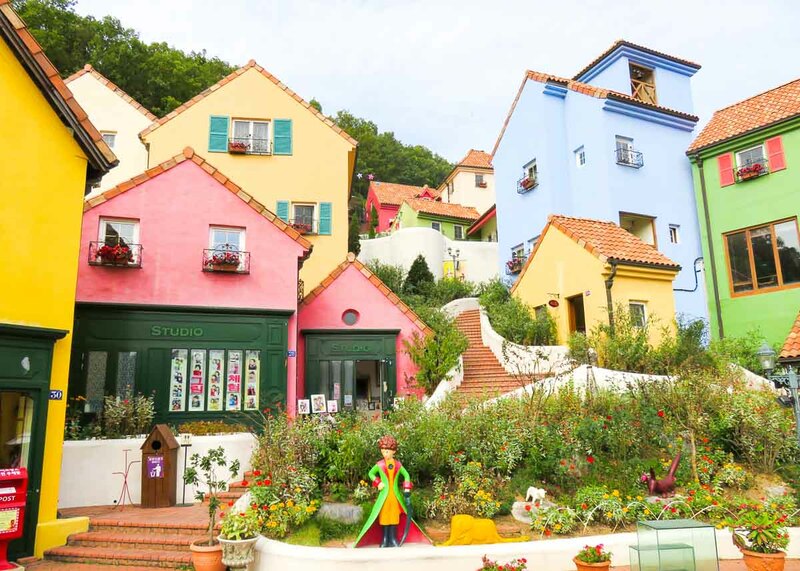 Located in Gapyeong (가평), 1-2 hours from Seoul, the seasonal florals of Nami Island (남이섬) and Garden of Morning Calm (아침고요수목원) make the perfect backdrop for any photo, while the colourful European-style buildings of Petite France (쁘띠프랑스) seemingly transports one to another place. No wonder K-dramas have used these spots as filming locations. 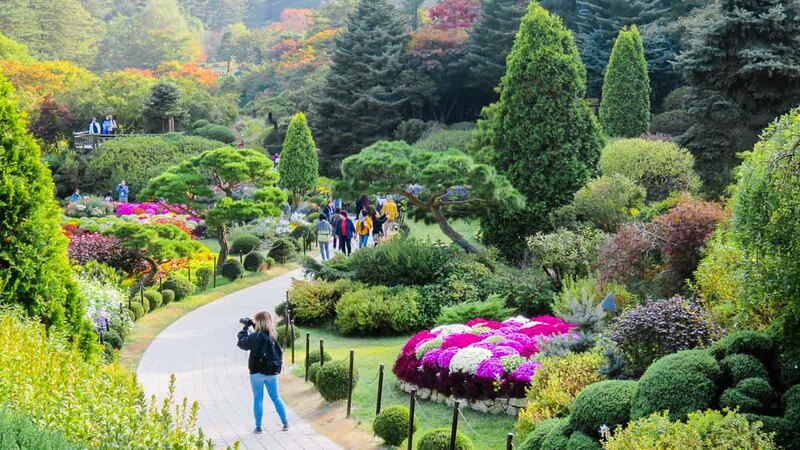 This popular day trip can be covered on your own through some careful planning but there are also all-inclusive tours which cover transport from Seoul, through the different attractions as well as entrance tickets to each of them. In this guide, we’ll share how we did it on our own but also if hopping on a tour is worth it. Here’s a couple of ways you can get there ranging from cheapest (if you’re not short on time) to the most convenient. A more direct option that cuts the travelling time almost in half is the ITX. T-money does not pay for rides on the ITX so you’ll need to purchase a separate ticket from the Korail counters. We used our Korail Pass for this which includes free seat reservation. You can check the schedule from the Korail booking page by typing in Yongsan and Gapyeong under the ‘Departure/Arrive’ fields. 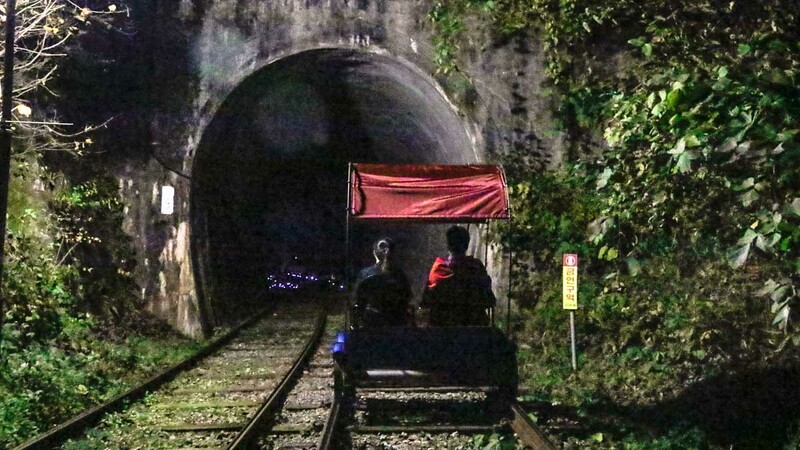 For those who’d prefer a more fuss-free way of getting to Gapyeong from Seoul and exploring all these spots within, this all-inclusive tour would be your best bet! 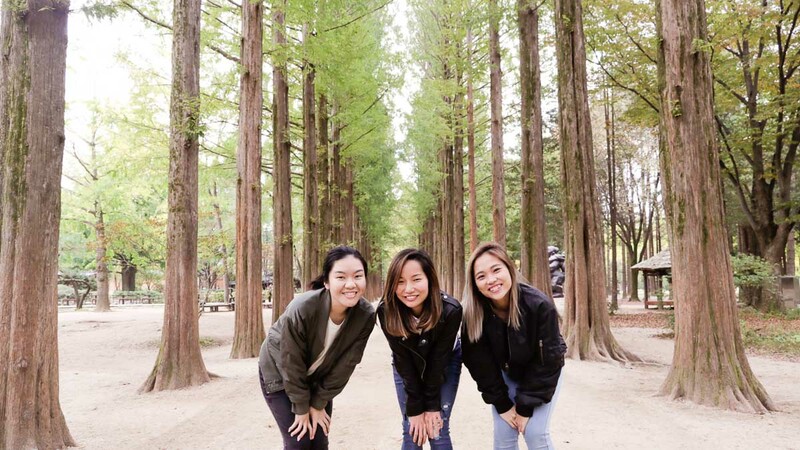 Get picked up from a central location (Hongdae, Myeongdong or Dongdaemun), arrive in Gapyeong and leave the day’s plan to your private bus that will shuttle you to your choice of zones you’d like to cover. The tour also includes entrance tickets to each spot so you get to skip the ticket queues for those. 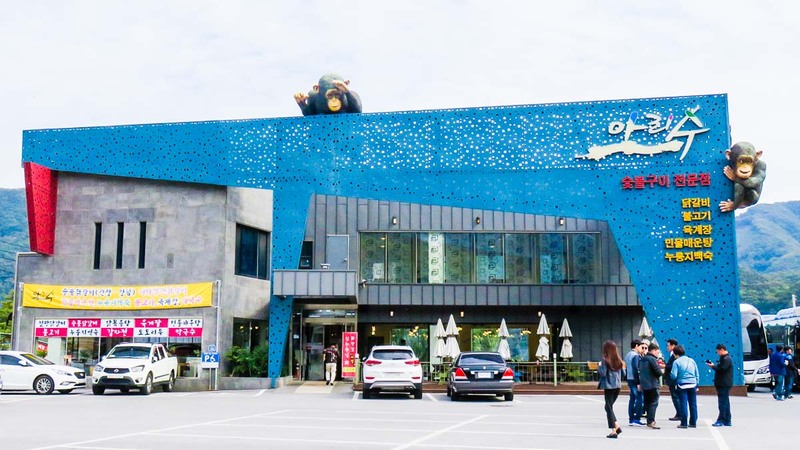 If you’re covering Nami on your own, there’s a Gapyeong City Bus that runs once an hour between 9AM – 7PM starting from Gapyeong Station and covers all 4 sites. For a flat rate of ₩6,000, you can purchase the Gapyeong Bus Pass from the bus captain for unlimited rides within a day. Keep this ticket and show it to the bus captain at every pickup point. The bus comes at intervals of 30 minutes to an hour and are usually packed from 10AM – 2PM so be extra mindful and factor in time to get to the bus stop earlier than scheduled. Miss a bus and you’ll probably end up missing an attraction or 2 since you’ll have to wait a whole hour for the next bus. We actually made a mistake and took the bus from the WRONG direction while at Nami Island. That cost us some precious 2.5 hours of waiting and finding our way back on track. As a result, we missed our rail bike booking which was at 5PM! 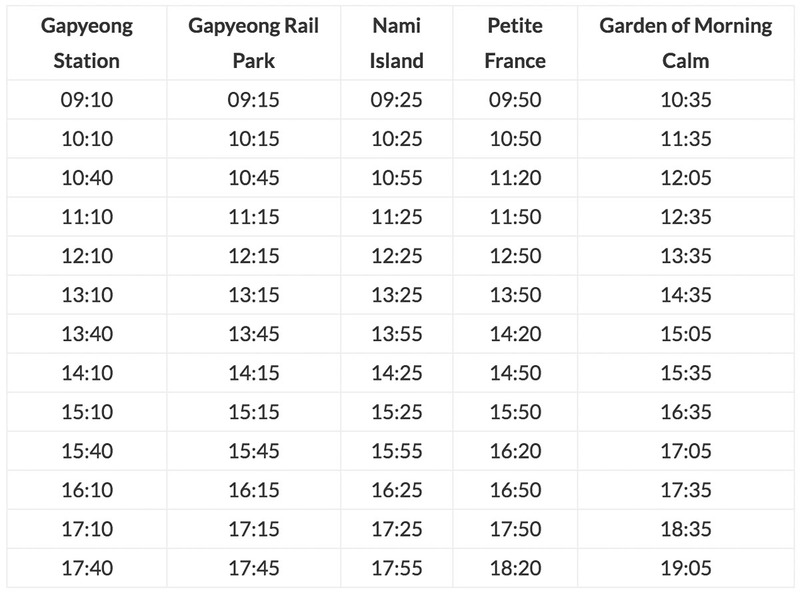 I’ll go into details later, but first, here’s the Gapyeong intercity bus route. If you’re planning to cover Nami on your own, here’s what we attempted. In order to cover all 4 locations, we had to start our day as early as 5AM and had a maximum of 2 hours at each spot. To be honest, the schedule is pretty ambitious so if you’d like to take it easy, you might want to take 1 activity out or sign up for an all-inclusive tour. 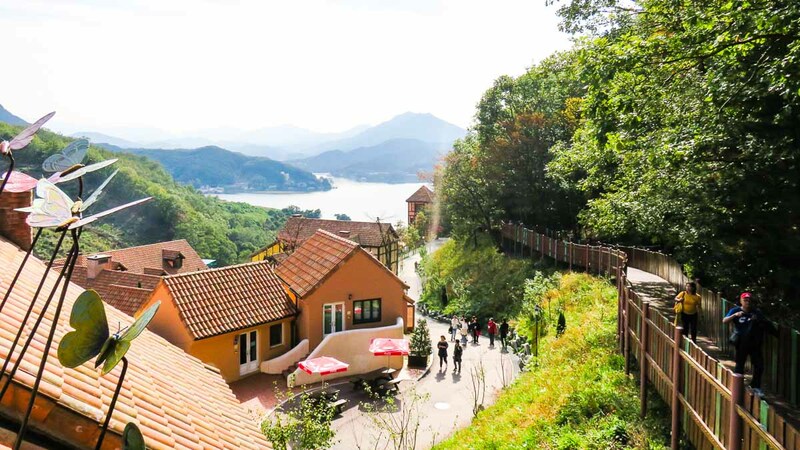 There are two ways to get to Nami Island, you can either take a ferry from Gapyeong Ferry Wharf, or get onto the island in style by zip-lining across — do note that the zip-line is only one-way, and you’ll be leaving the island by ferry. The ferry leaves every 30 minutes from 7:30AM – 9:00AM and every 10-20 minutes between 9AM – 6PM. 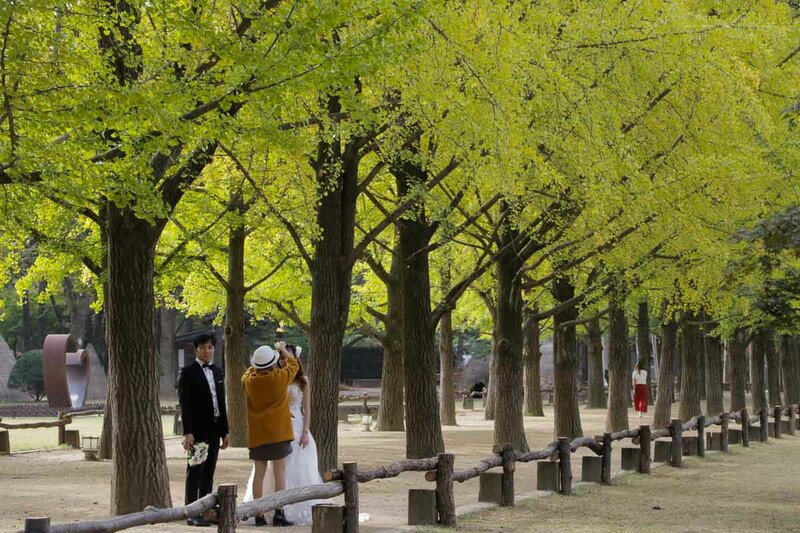 Popularised by one of the most iconic Korean drama, Winter Sonata 겨울연가 (2002), which almost certainly ignited the Korean Wave worldwide, Nami Island has been attracting many K-Drama lovers since the early 2000s. Strike a pose with auntie-killer Bae Yong-Joon’s lifesize copper statue. 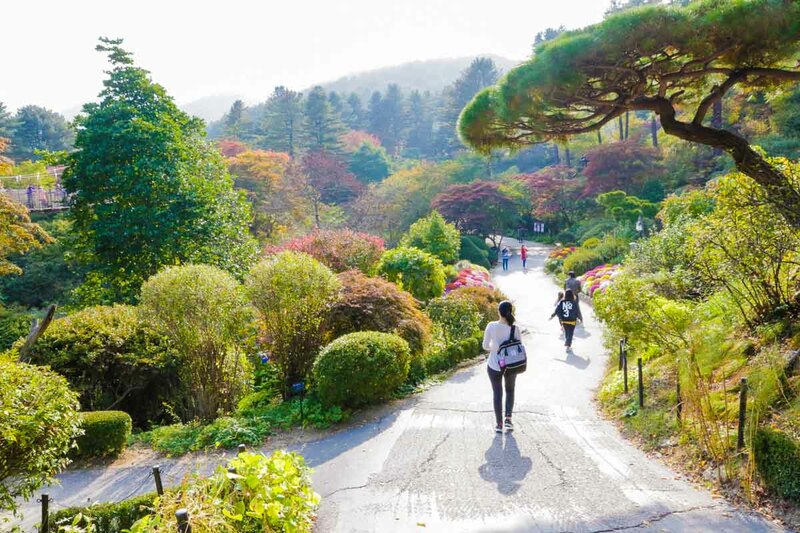 Located an hour’s drive away from the city of Seoul, Nami Island is the perfect place for anyone who wants to be away from the rapid city pace and just be within nature. 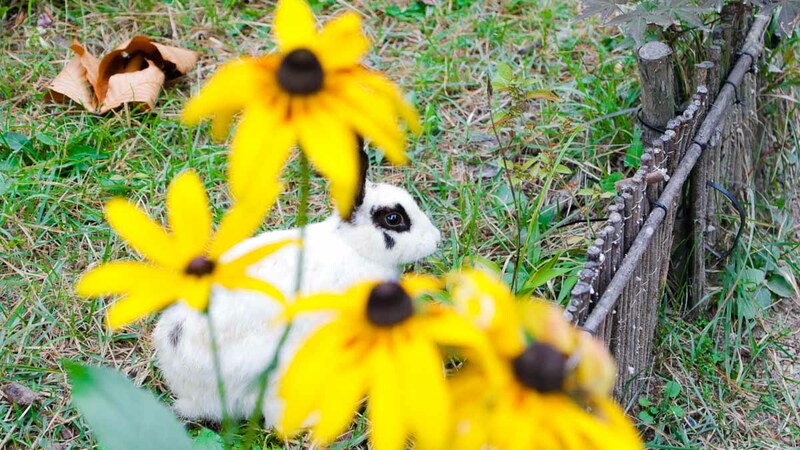 Spot free-roaming bunnies and squirrels while you’re at Nami Island too! Look at that squirrel in between the kimchi huts! Stop by the old rail tracks for some photo-taking opportunities with the ostriches on the island! 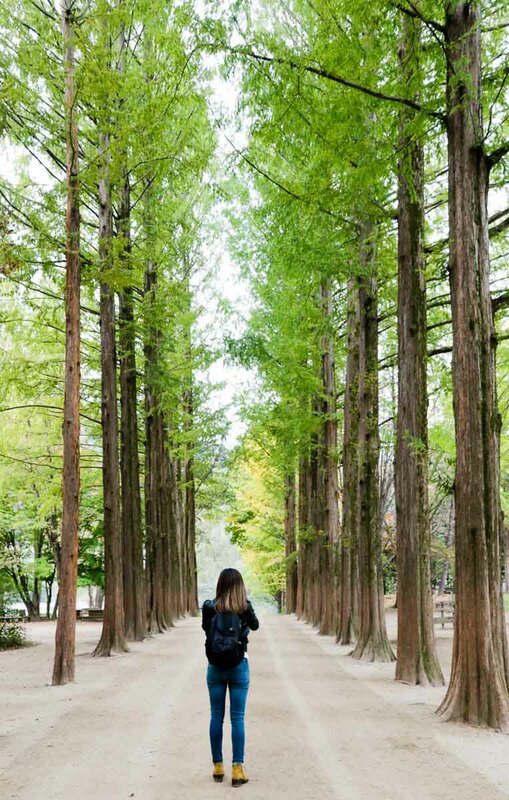 Redwood trees of Metasequoia Road and Central Korean Pine Tree Lane are some popular photo spots where the tall majestic trees seem to go on and on forever. Nami is exceptionally beautiful during the autumn months, where rows of pine and maple trees turn red and paint the whole island into a huge pumpkin spice latte. 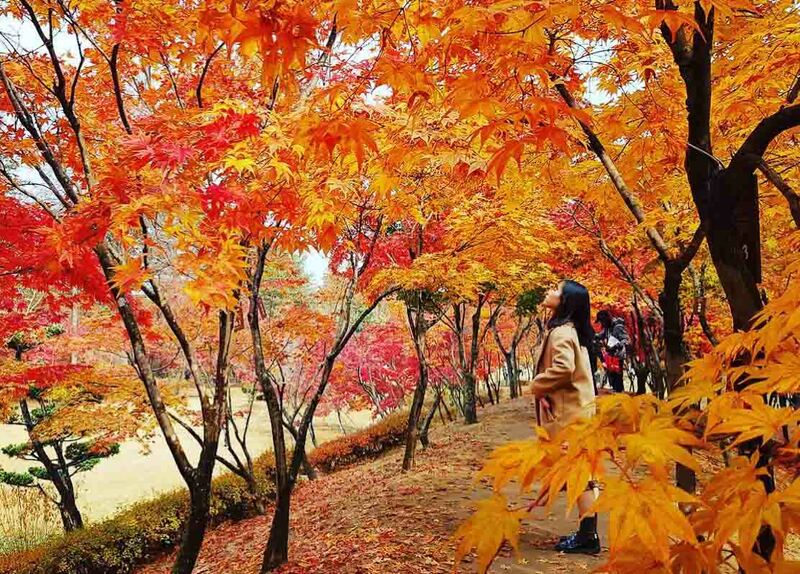 We were there in early Autumn and the foliages were still green, but right now (Nov), Nami Island is painted in a sea of red and gold! If you’re feeling peckish, try the Hotteok (호떡), a popular Korean red bean pancake, from the Nami Island Sonata Cafe (₩1,500/pc). 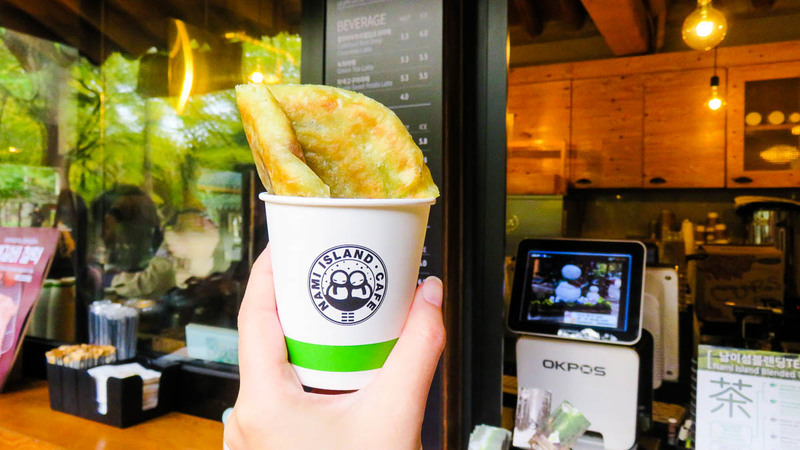 The hotteoks are freshly prepared and make a great treat after the long walks around Nami Island! 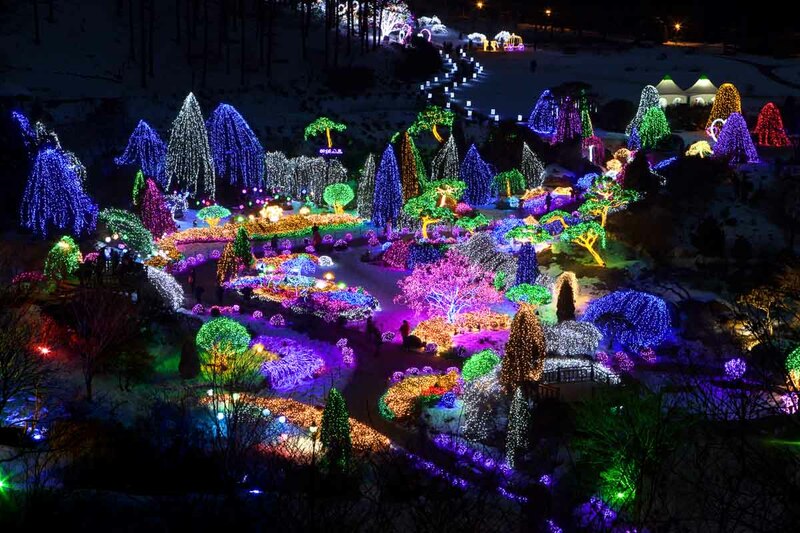 Here’s a fun fact, Nami Island declared its “cultural independence” on 01 March 2006. This imaginary “country” has not only invented its own passport, but also currency, stamp, and telephone card! 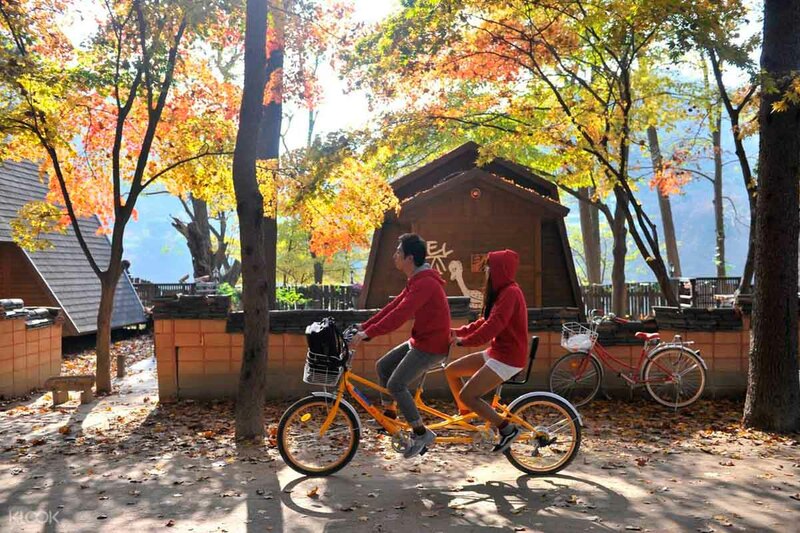 While Nami Island can be explored on foot, there are other modes of transport around the island that can save you some walking and time. There’s the Story Tour Bus, UNICEF Charity Train, Sky-bike and Electric Tri-way bikes to get around Nami Island. You might even want to get adventurous and get on an exhilarating forest zip-line in Nami Island! 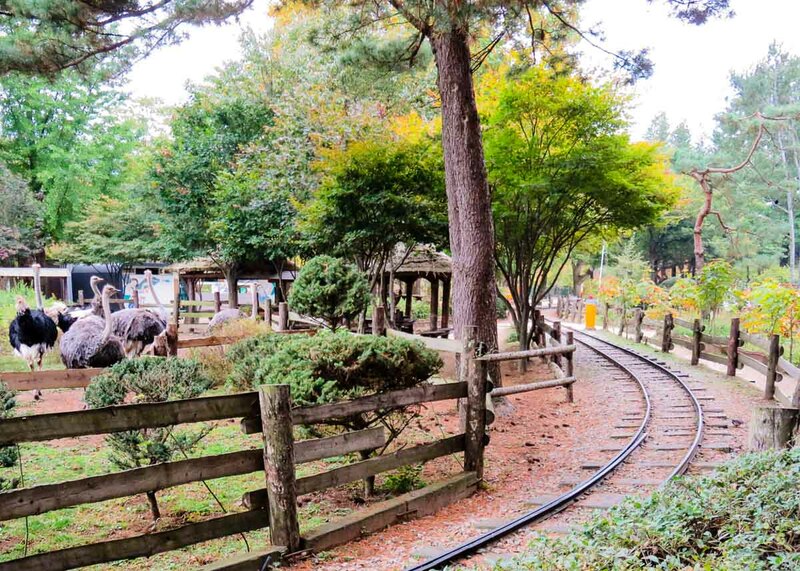 There’s a Nami Island All Pass that covers all the abovementioned transportation within Nami Island, as well as the admission to the Forest Adventure Treego. The pass costs ~S$45 whereas buying the tickets individually will set you back by ~S$105.25. Quite a steal, we’d say! 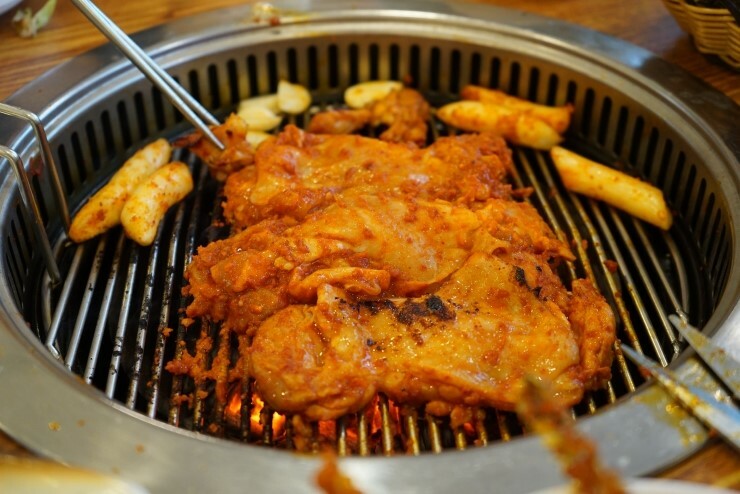 There are a couple of food stalls around the ferry terminal, but if you are looking for a full meal, there’s a dakgalbi restaurant near the bus stop. It’s a blue building with two big chimpanzees on it, hence it’s really easy to spot. While we did not have our lunch there, we read that the dakgalbi (닭갈비), or spicy stir-fried chicken, is delicious and reasonably priced. Do take your meals prior to heading to Petite France and Garden of Morning Calm, as there are limited food options around those areas. 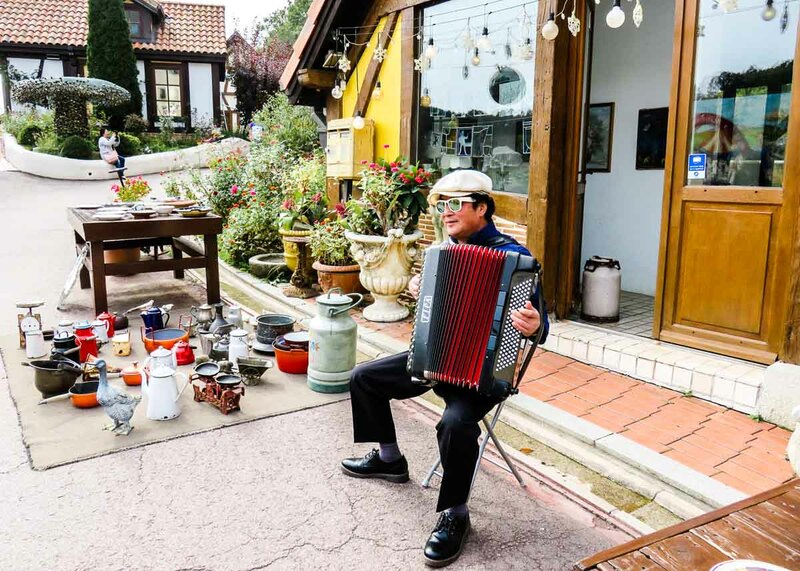 Petite France is a French cultural village that showcases vintage European trinkets such as century-old dolls and puppets, antiquities, orgels (musical instrument), and furniture. Stepping into Petite France, one will feel transported to another location and time period. 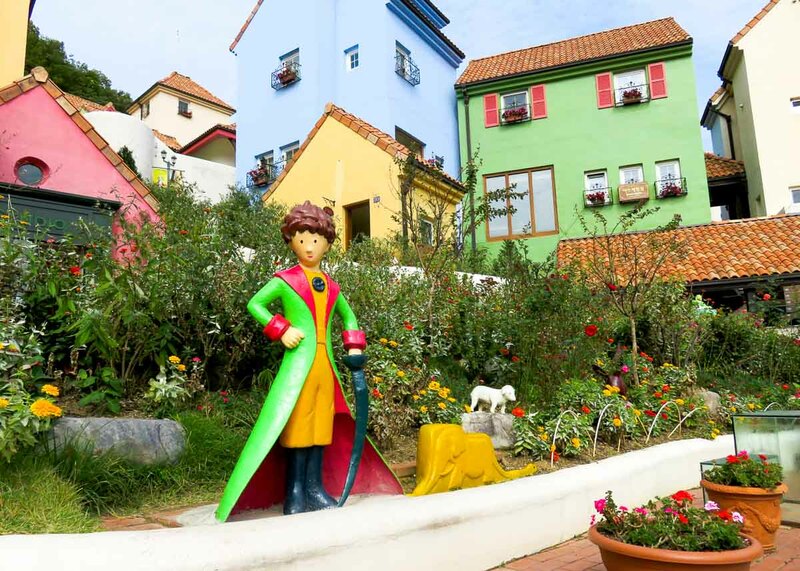 While Petite France is also the most touristy, it’s definitely worth a visit as the colourful buildings’ facade make a great backdrop for photo-taking opportunities. 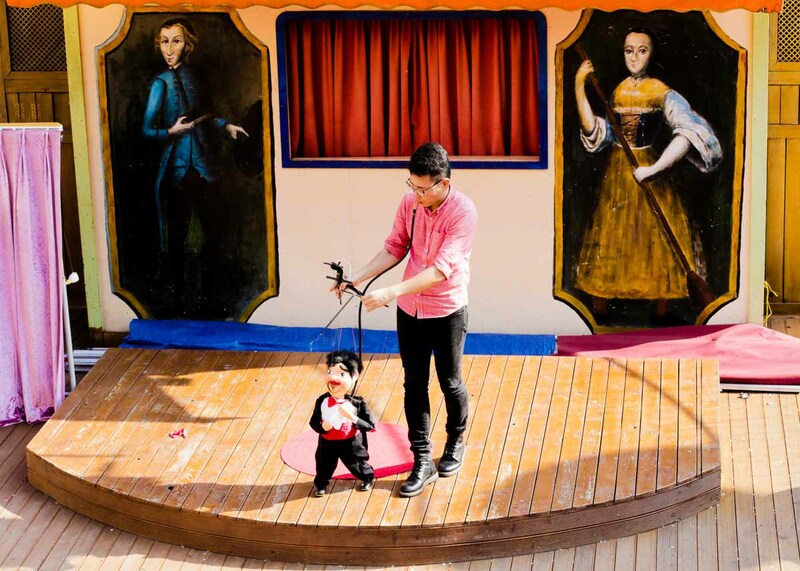 There are several free performances such as the Orgel Demonstration, Guignol French Hand Puppet show, Marionette Czech String Puppet show, and accordion performances by the street musician. Eagle-eyed K-Drama fans will probably recognise Petite France from series such as My Love From the Star 별에서 온 그대 (2014), Secret Garden 시크릿 가든 (2010), and Beethoven Virus 베토벤 바이러스 (2008). Besides the iconic colourful buildings, another great photo spot is the Butterfly Park. With 26 themed gardens within the entire compound, the Garden of Morning Calm is every botanists’ / horticulturists’ / photographers’ dreamland. 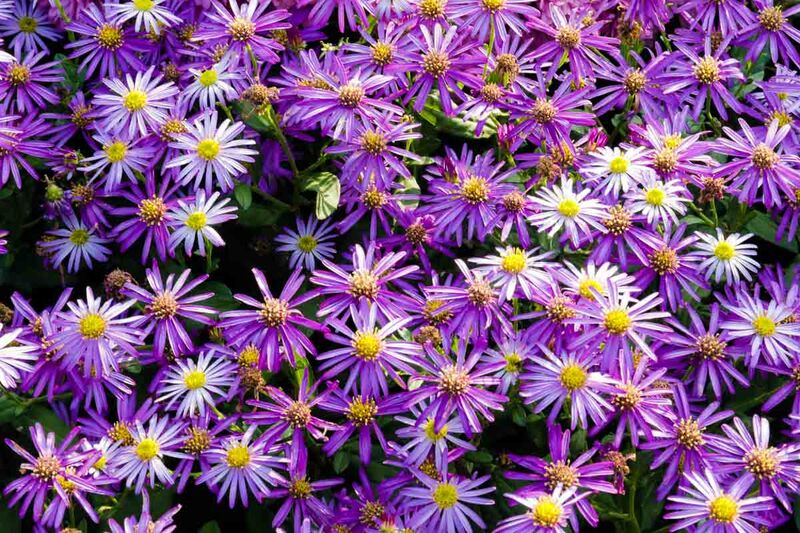 While we were there, the chrysanthemums in full bloom mesmerized us all. 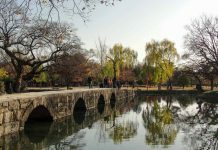 A great place for everyone to slow down and admire the beautiful flowers and landscape within the oldest private garden in South Korea. Many older folks can be seen brisk walking, while the younger generations whisk their cameras for selfies amongst the many colourful beds of flowers around Pond Garden and Sunken Garden. Garden of Morning Calm is open all year round, and there’s a reason to visit every season as exhibits are seasonal. In Spring, Magnolia, Azalea, and Cherry Blossoms paint the garden pink. During Summer, the garden bursts into a myriad of colours when Roses, Iris, and Blue Hydrangea bloom. Our visit in Autumn showed us how Chrysanthemums and Maples add a sense of warmth to the cooling temperate with their red fiery petals and leaves. While in Winter, artificial lightings make the otherwise dormant snow-covered garden look like a magical winter wonderland. 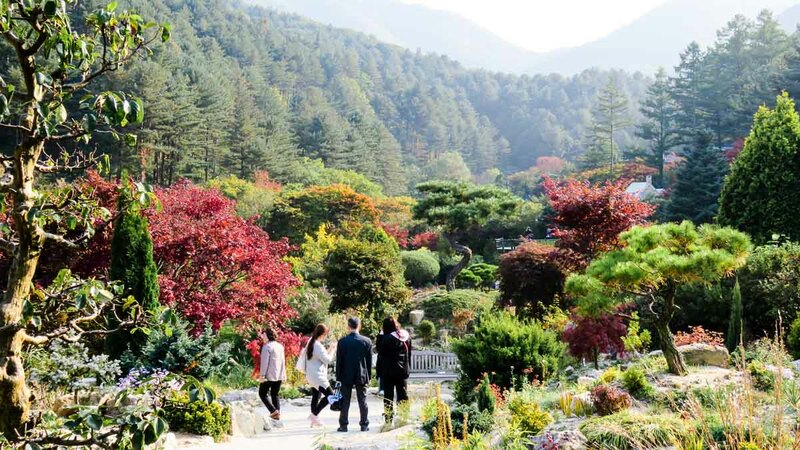 The undeniable charms of Garden of Morning Calm have made it a hot spot for K-Dramas and variety shows. Popular shows like Love in the Moonlight 구르미 그린 달빛 (2016), You’re Beautiful 미남이시네요 (2009), and TVN Taxi 현장토크쇼 택시 (SHINee) have been filmed here. 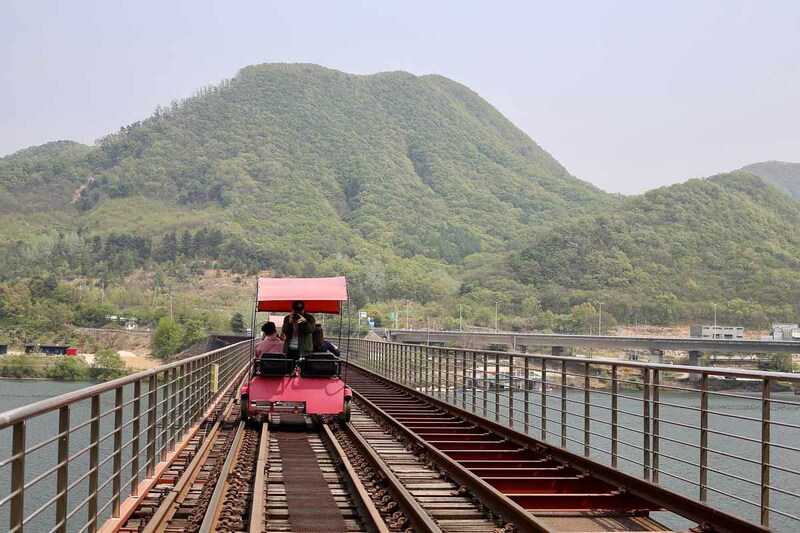 There are 2 different rail parks, Gapyeong Rail Park (가평 레일파크) and Gangchon Rail Park (강촌 레일파크). 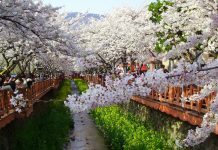 The one in Gapyeong is more convenient if you’re covering it on the same day as Nami Island, as it is one of the stops of the Gapyeong Intercity Bus. However, the views in Gangchon are nicer and goes through 3 tunnels whereas Gapyeong only goes through one. As mentioned, we missed 5PM booking for the rail bike at Gapyeong and had to return another day for it. Be there at least 20mins before your booking. Time-keepers please be mindful of the time as bookings will be forfeited (non-refundable nor exchangeable) if missed. Since we returned on a separate day, we decided to head straight for the Gangchon Rail Park and it definitely did not disappoint! Variety shows Running Man Ep.144 런닝맨, and We Got Married 우리 결혼했어요 have been filmed here! There are 4-seater and 2-seater options. If you’re going in a group of 6, we’d recommend getting three 2-seaters instead of a 4-Seater + 2-Seater as the bikes go out in batches of type. Note that the ride stops at Old Gangchon Station (no longer functioning) and not the one where you can take the ITX from. 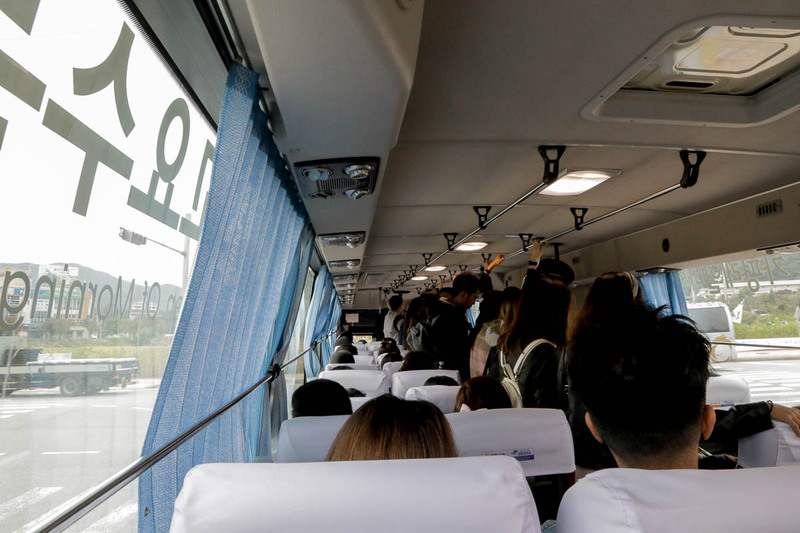 A free shuttle bus will bring you back to Gimyujeong station where you’ll need to take a stop down to Gangchon for the ITX. *Pro-tip: If seat reservations have run out, take the train from Chun Cheon instead to increase your chances of getting non-reserved seats on the ITX train. Opening hours: Starts at 9AM, operates at 1hr intervals. 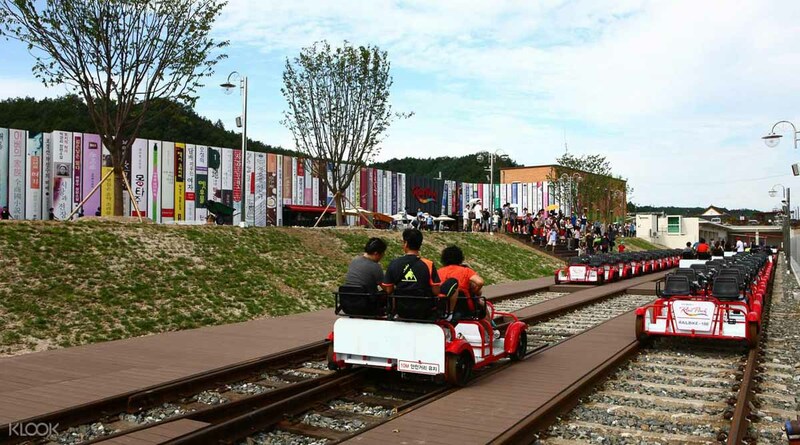 For Gapyeong Rail Park: The entire pedalling course is about 8km one round, coming to an end at where you started. Scenes of the movie The Letter 편지 (1997) was shot here. For FOMO people like us who want to cover everything, this DIY plan would have worked really well if we stuck to all the bus timings. Unfortunately, the detour cost us one activity short despite waking up super early to start the day. 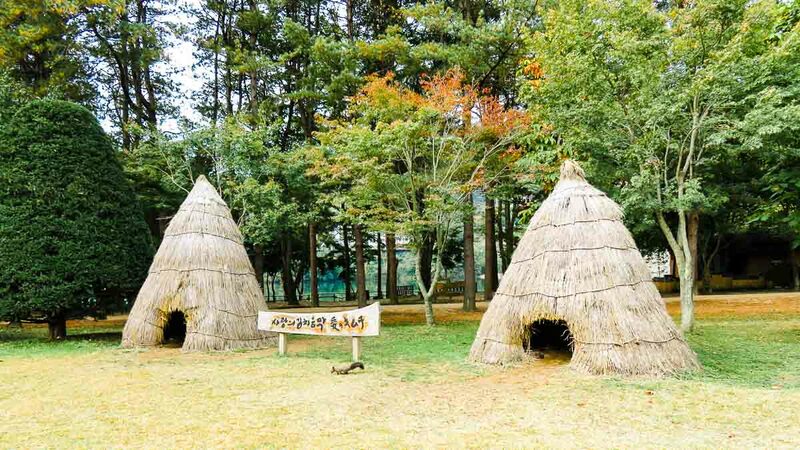 DIY Pros: You’ll get to enjoy a relatively empty Nami island if you visit before 9am. DIY Cons: You’ll have to be really careful about the bus timings and it might feel a bit rushed to cover all 4 sites. Tour Pros: Minimal planning required and you get to skip the queues for getting entrance tickets. Tour Cons: You might arrive at the same time as other tour groups when the place is most crowded. Although places like the Garden of Morning Calm is huge so the crowds didn’t quite spoil the experience. 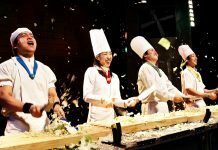 While you won’t be able to hit the minimum spend with just the Nami Island tour, if you follow our 7D Korea Itinerary visiting Seoul, Jeonju and Busan, you can easily hit the minimum spend on essentials like the Korea Rail Pass and Discover Seoul Pass, as well as tons of other activities in and around Seoul. 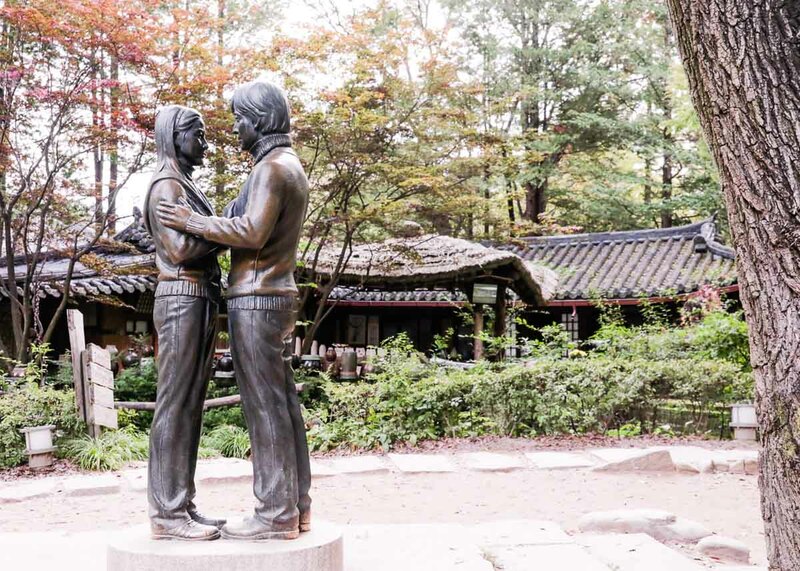 We hope you found this guide helpful in planning your perfect day trip from Seoul to Nami island as well as all the other gorgeous sights within the Gapyeong area! This article was brought to you by Klook. If you like what you’re seeing, follow our adventures on Facebook, Instagram and more behind the scene stuff on YouTube! She's selectively sporty and spends most of her energies on digestion. Best known among her colleagues as the one who ruptured her ACL after falling from a Segway. Polyglot in English, Mandarin, Cantonese, and Singlish. Hai edelyn, just want to know the enterance fee for nami via zipline 38,000 won include ferry fare for way back? Thank you. Yes, the fee of 38,000 won for zipline into Nami Island includes return ferry ride. hi, for the returning ITX, do you think i have to book online first or i can purchase it at the station? because still unsure to go back from Cheongpyeong station or gapyeong station. just wondering if i were to buy the the ticket at the station, will it sold out? We wish we can predict the situation too! We’re not too sure but we generally either got all our tickets on the spot or the day before without problems. Just want to know how much your budget when you went to korea? Also, do you think it is better to book in advance in klook.com? Thank you. 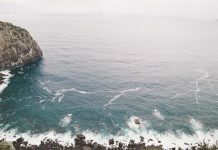 Yes, we would encourage you to book the activities and travel essentials on Klook before your trip as most cannot be purchased on the day itself (e.g. tour packages usually have to be purchased 3 days in advance). 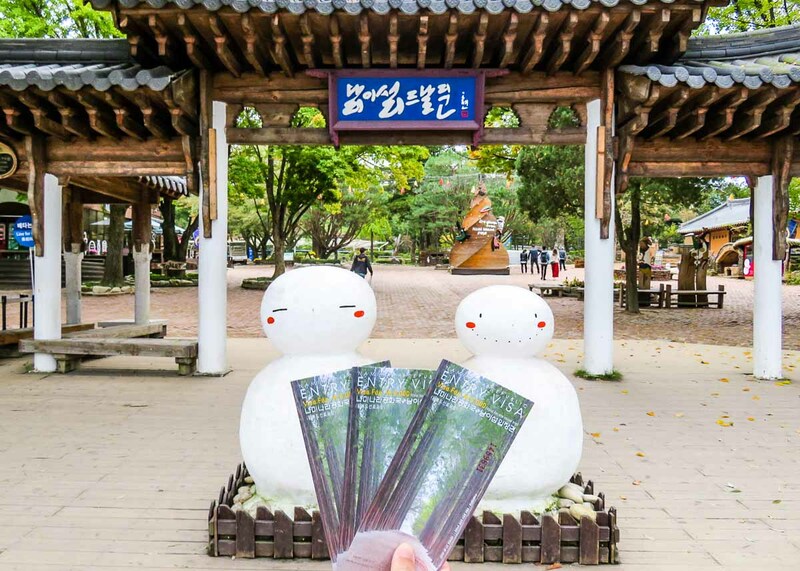 Is ur entrance tickets to Nami Island , Petite France , Gangchon Rail Park are purchased on the spot ? Do we need to do pre booking for the Gangchon Bike ? We bought our entrance tickets to Nami Island, Petite France, and Garden of Morning Calm on the spot. 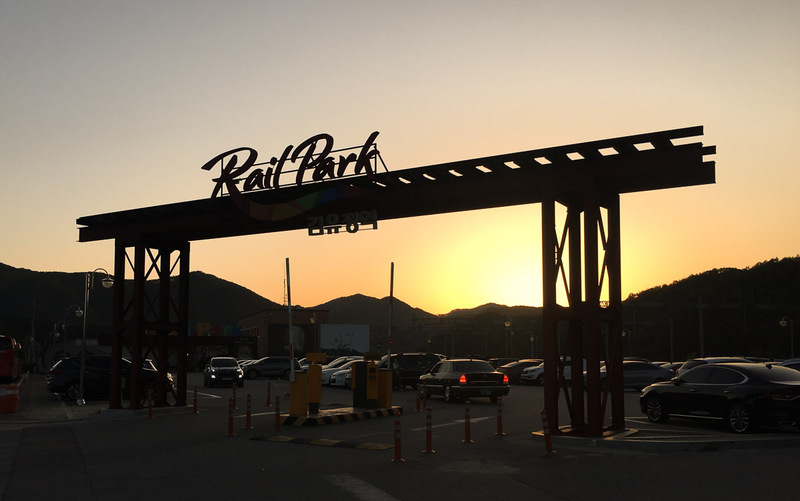 For Gangchon Rail Park, we purchased our tickets through Klook beforehand, and we recommend purchasing the tickets in advance as they do get booked up quite fast. 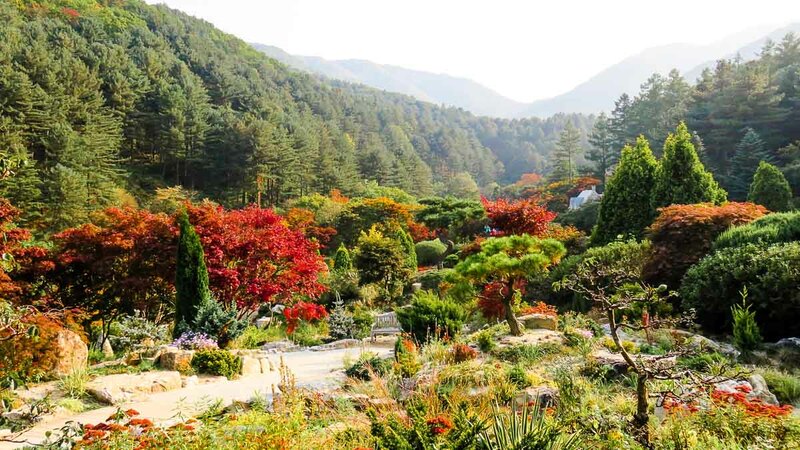 I’ll suggest the 2-day flexi pass @ S$112/pax for your trip to Nami Island and Busan. Single trip tickets cost ₩5,200 (ITX Seoul to Yongsan) and ₩59,800 (KTX Seoul to Busan) per pax. You’ll get to save about S$48 with the Korail Pass! Hope this helps, enjoy Korea! Yes, both the zipline and bungee towers are located at Nami Island shuttle bus stop — the same stop as the ferry terminal for people who wishes to take a ferry to Nami Island itself. Is there a bus operating at 7 am? Am planning to pattern our itinerary to yours to make it to the first ferry at 730 am. When we were there in October last year, there were Gapyeong buses such as service 33-38 running from 7AM. But I did a quick check just now and it seems that as of 1st Jan 2018, the first bus departs Gapyeong terminal at 7:40AM instead. You might want to get to Gapyeong station early to try your luck if there are any other buses running at 7AM! So sorry we are unable to assist further with your itinerary planning! 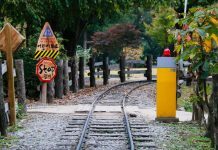 We’re planning to follow your itinerary except for the rail bike tour which we intend to do after visit to Nami Island…Is there a bus or taxi that will take us back to Gapyeong rail park? Thanks. Buses come every hour, and it’s only a 10min ride from Nami Island’s stop to Gapyeong Rail Park. Hi, thanks for sharing. But there’s something I don’t really understand, there’s only two ways to get to Nami Island? Ferry and zip-line? I have read many articles about Myeongdong -> Gapyeong, it seems like there’s shuttle bus to reach Nami Island (is it possible? or the bus will only reach the ferry terminal?) Thanks. Yup the shuttle bus stops at the ferry terminal, you’ll still need to take the ferry across to Nami Island itself. My wife is quite excited to visit Nami Island. Our plan is from Nami island going directly to Garden of Morning Calm then back to Cheongpyong Train station. I’d like to know which particular bus stop are we going to take from Gapyeong Wharf?? 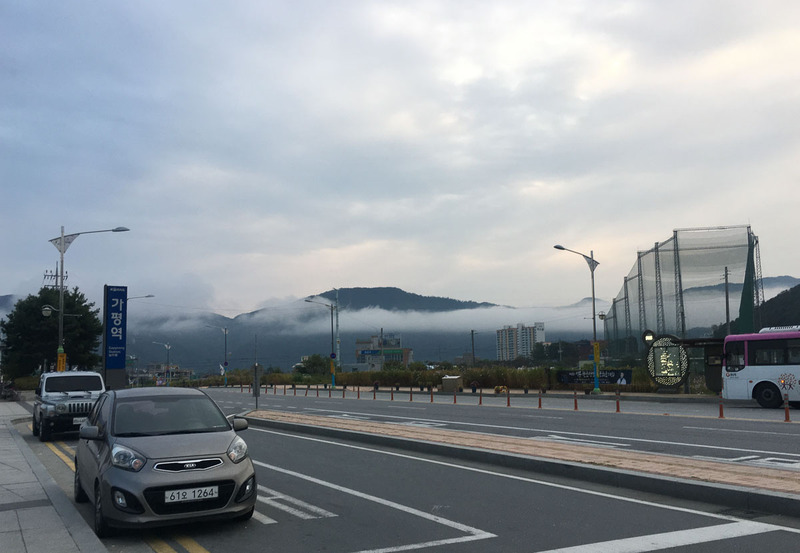 You’ll have to take the bus from across the road of the wharf — the side that goes to Petite France, Cheongpyeong stn, Morning Calm. From Garden of Morning Calm, take the opposite direction back to Cheongpyeong stn. There are directional signboards at the bus stops too. The last bus for Garden of Morning Calm is at 7.05 pm as per schedule. Do you happen to know if this bus will take us back to Gapyeong Station or is it only for drop off at the Garden? I have seen that there is 2 different schedules, 1 from the station and another to go back to the station. I wonder if this is still the case. Yup, you are right! There’s a shuttle bus route from Garden of Morning Calm towards Gapyeong station. From what I remember, the last bus leaves at 6PM from Garden of Morning Calm to Gapyeong station. Subsequent buses in that direction (last bus at 7:30PM) goes from the Garden to another station — Cheongpyeong. Thank you for the detailed post, it’s helping me plan out my trip in Oct this year more easily. Do you know how long the shuttle bus from old Gangchon station takes? Does it go back to Gapyeong Station where we can take the ITX back to Yongsan Station in Seoul? The bus service from old Gangchon station only goes to Gimyujeong station, it takes about 20mins and comes every hour. You’ll need to take one stop down from Gimyujeong to Gangchon station for the ITX back to Seoul. Im going to Seoul this end of month. I would like to ask you which is cheaper and more cost saving whether going on tour or diy tour? Hi Miyah. Definitely DIY but it’s significantly more troublesome! I’m planning to treat my daughter for a South Korea trip next yr for her 18th bday which is Oct 5. I wanted to know if autumn is in full blast by then or do you suggest we go mid-Oct instead? 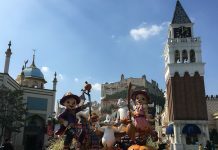 What days in October were you there? Thanks Tin! Glad these were useful 🙂 We did this trip in mid October last year and the leaves at Nami was only just starting to turn yellow. A week later, we had friends sending us pictures of all the trees covered in reds and yellows! If you can, the further into October you go will definitely increase your chances of catching the Fall foliage. Did you take Ferry to Nami island or did Korail take you straight to Gapyeong? Hello! Are you only covering Nami island and Petit France? It’s 25 minutes apart by the local bus. So probably, 3-5 hours depending on how much time you’re planning to spend at each place. But that excludes travelling time from Seoul. From Petit France, you’ll need to catch a bus back to Gapyeong Train station, then either take the KTX or ITX back to Seoul. 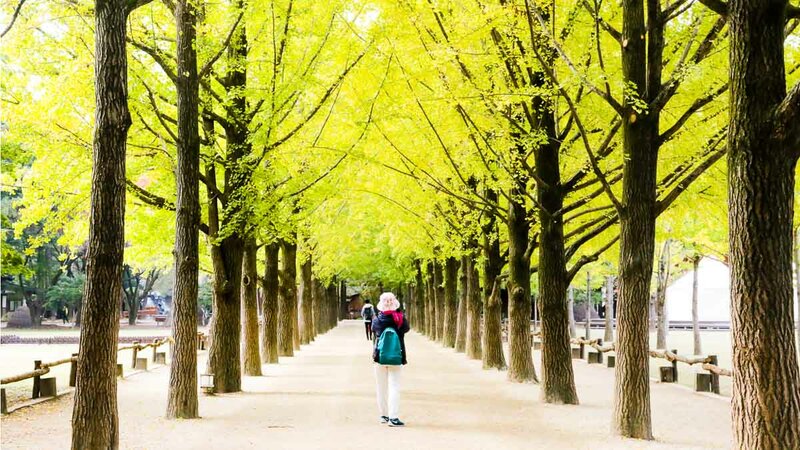 You can also sign up for this tour: http://bit.ly/2LMfuo8 If starts from Seoul, brings you to both Nami Island and Petit France and also includes your trip back to Seoul. Hi there, I wanna ask which subway you guys take to reach yongsan Station so early in order to sit for 6am itx? Since I stay at hongdae, if wanna go yongsan Station I would need to sit Gyeongui – Jungang line but than the 1st subway for this line is 6am sth..so are there any other way for me to reach yongsan before 6am? We stayed around Seoul Station so there was no problem for us as the first train to Yongsan departs around 5.14am. I searched on google and found that there are buses 7011, 7016, and M6117 operates in the early morning around Hongdae district that goes to Seoul station. From Seoul station, you can transfer to the train that goes to Yongsan station. Thanks for the bus info. And another I wanna ask is what time is the last route for Gangchon Rail Bike to depart? Izit 5pm or 5.30pm? And do you recommend with book 1st for buy the ticket on the spot is better? Cause we scare we can’t make it on time than it will be wasted if we book 1st on Klook. So we plan to go Nami than Petite France than the Garden and lastly Gangchon rail bike. Do you think we can make it to the last ride? 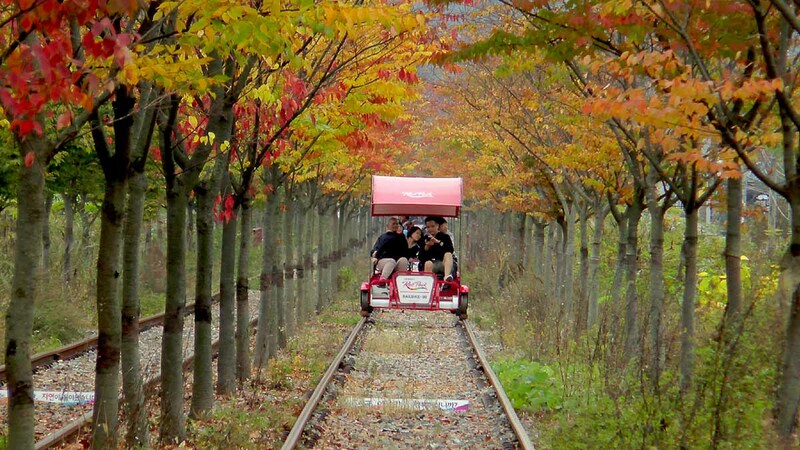 Or we should just stick to Gapyeong rail bike? Thanks! The last departure for Gangchon Rail Bike is at 5.30pm but you’ll have to reach half an hour before that (at 5pm). You should be able to make it for the last ride if you follow our itinerary accordingly, and spend not more than 2 hours at each location.